Hozuki and Hakutaku are making their recipes in Hell and in Shangri-La respectively when they notice there is an ingredient missing. Both of them go to the limits between Hell and Shangri-La as they need something from the Hell’s gatekeepers; Hakutaku needs horn shavings of Cow-Head and Hozuki needs hoof shavings of Horse-Face. After some discussion between Hozuki and Hakutaku, each one return to their respectively dwelling and conclude their recipes. 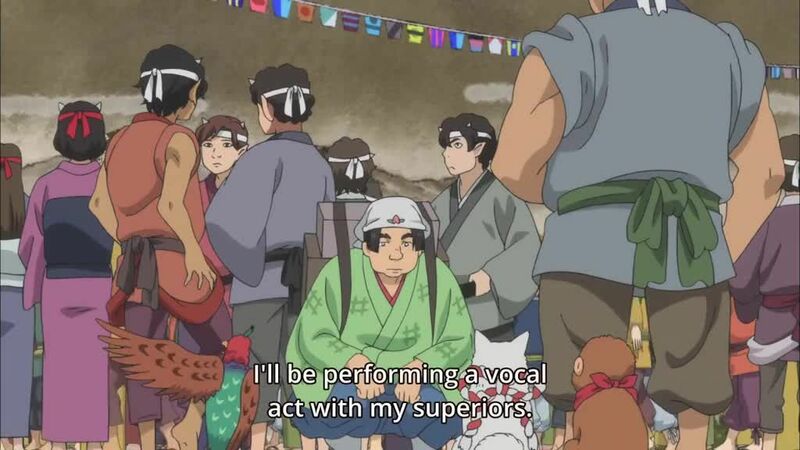 During the Sports Day in Hell, Hozuki takes advantage of the event to disciplinate the new employees. It starts with a treasure hunting in which the players are required to do embarrassing tasks to win. After other 106 events, in the last one some people are tied to ropes upon a boiling oil cauldron and the players must rescue them while escape from a giant ball. In the end, Hozuki needs to rescue the players, and announces that it was just a test and that the official event still need to happen.